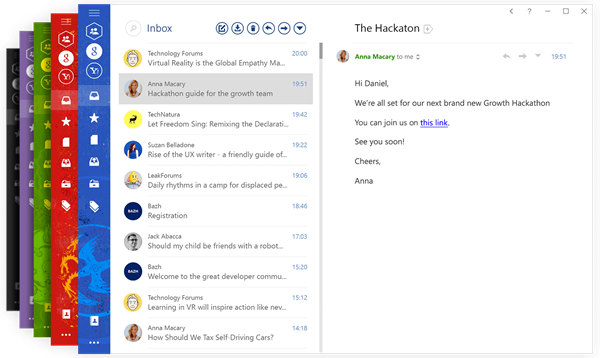 MailBird is a professional Mail Client. 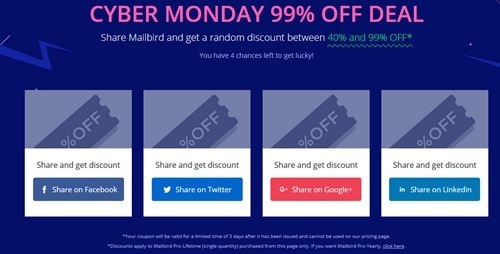 You can get up to 99% OFF on Mailbird mail client as a special offer for Black Friday to Cyber Monday. That is from this Friday November 23rd (Black Friday) through to Monday November 26 (Cyber Monday). The opportunity to get Mailbird for your business at this deal only happens once a year. You can get a coupon which can give you upto 99% OFF on the product, Each coupon will be valid for a limited time of 3 days after it has been issued and cannot be used on our pricing page. Discounts apply to Mailbird Pro Lifetime (single quantity) purchased from this page only.